Please come to the annual gathering of Intermountain Yearly Meeting, our last at Ghost Ranch, New Mexico, June 9-16, 2019. The theme will be Faith, Fear, and Our Future. I hope you can come experience worship, fellowship and business among Friends of all ages from Utah, Colorado, New Mexico, Arizona, West Texas and maybe even Wyoming. The Program Working Group and Arrangements Committee have created a rich program of activities, fellowship, learning, spiritual growth and IMYM business. Keep reading for all the latest activities and details. New to this newsletter is an article listing the peace and social concerns activities of monthly meetings. As clerk, I get to know about some the events and endeavors of monthly meetings, and I want everyone in the yearly meeting to have a chance to learn and to celebrate the good work of Friends. This is not an exhaustive list, but my hope is that Friends feel a bit less like owls in the wilderness and maybe find activities they can join and support. I look forward to fellowship with you this summer. How is Friends’ faith affected by the world around us? How do we sustain love, faith and hope in our connections to God and each other in these times? What does our faith teach us about overcoming fear? How can walking through fear strengthen our faith? How can Friends of all generations inspire and sustain one another as we face the future together? 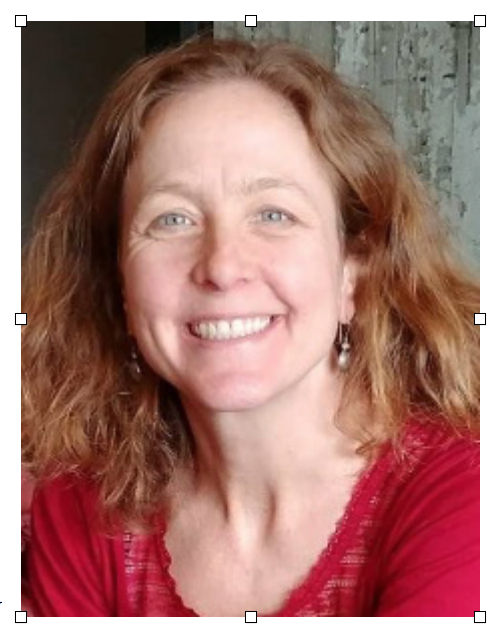 Bridget Moix, US Senior Representative and Head of Advocacy at Peace Direct, will be the keynote speaker at IMYM this year. Peace Direct is a London-based non-governmental organization that helps identify, nurture, connect and support individuals doing nonviolent peacebuilding in their local communities around the world. She is a former Director of Casa de Los Amigos Friends Center in Mexico City and currently serves as clerk of the General Committee at FCNL. When she worked at FCNL earlier in her career she responded to the question, “If War is Not the Answer, what is?” with design of the Peaceful Prevention of Deadly Conflict program. To Bridget, overcoming fear is grounded in hope. Hope is grounded in love and faith. She is inspired to be a “pattern and example” of the power of nonviolence, empowering others, and raising questions about how to understand and prevent violent conflict. Bridget Moix is a member of Friends Meeting of Washington (DC) and is married with two children. She has a PhD from George Mason University in Peacebuilding. You can read more at www.peacedirect.org and https://www.fcnl.org/people/bridget-moix. Online registration is now open (click this link). Credit cards will be accepted. Many adjustments have been made to make this a clearer and simpler process. Registration will only be available online. Please be generous in helping those who are not computer savvy to register. More details as to schedules, etc are posted here. APRIL 28 – Final day for regular registration. Registrations after April 28 cause extra work for the registrars, and housing at Ghost Ranch may not be available. We ask for a $50 late fee. MAY 7 – Final day for payment of registration. Final day for registrations, unless you are commuting. The online link will be removed. Anyone wishing to register after May 7 must contact the registrars. We are continuing to use Pay as Led to finance our annual gathering. We want to remove as many barriers to participation as we can, so that more Friends can contribute to the fellowship and discernment of business at the annual gathering. There is no need for members or attenders to ask monthly meetings or the yearly meeting for financial support. Friends are asked to register for the accommodations they need and then prayerfully consider how much they are led to pay in support of attendance at the annual gathering – either less or more than the real cost which will be provided by the registrar. Monthly meetings are asked to continue to support attendance at the annual gathering. However, instead of awarding scholarships for attendance to individuals, meetings are asked to send the amount they would spend on scholarships directly to the yearly meeting. In this way, no one must ask for a scholarship, and everyone will be provided for. This method of financing the annual gathering worked last year, and the yearly meeting has decided to use it unless if quits working. We had more attendance last year, especially among young adult Friends. If you want more information, please see the article Paying as Led in the most recent Friends Journal. There will be seminar time in Early Days (Monday, Tuesday and Wednesday) of approximately three hours each day. Seminars usually are conducted over three days, each with one or more presentations, experiences or trainings on a theme; one- or two-day seminars are also offered. This year the seminars on Monday and Tuesday will be held in the afternoons to allow mornings for reflection, fellowship, hiking, arts and other activities. Interest groups meet during the Regular Days, Friday and Saturday afternoons for 1 ½ hours. A list of these offerings is in the Registration packet. Monday of Early Days a hike is planned at Pedernal, the iconic mesa loved by Georgia O’Keefe. This is a full-day but not difficult walk through beautiful forest and meadows with spectacular views of the Chama Valley. Activities are planned for the evenings: Monday will be a family-friendly film; Tuesday evening will feature a session on race, inclusion and privilege; Wednesday is the welcome session. The IMYM Peace and Service Committee is organizing a Thursday evening session where the IMYM representatives to FWCC, FCNL, AFSC, FGC, QEW and other Quaker organizations will offer a program about how their work serves IMYM Friends and relates to the theme, Faith, Fear, and Our Future. Friday night is Contra Dancing with our own Quaker band, the Contra Band. Senior Young Friends will again organize Saturday Creativity Night, after a preview presentation about Ft. Lewis College. Following these evening programs, Junior Young Friends will welcome adult Friends at the Cantina for ice cream, foosball and ping pong along with intergenerational board games and organized singing. The Senior Young Friends Listening Session will take place on Friday afternoon with a topic to be determined. Friends in the Arts is planning workshops, projects and art opportunities at the Arts Center. Friends are invited to share their gifts, skills and inspiration to lead or assist the coordinators. There will be a painting workshop, a leader for dance/physical movement, participatory music, and a group art project. If you have ideas for Arts Center activities, would like to offer an arts-related activity or workshop, or want to join with Friends in the Arts as a volunteer in the Arts Center, please contact Caroline Rackley, IMYM arts coordinator, at designultd@newmexico.com. The IMYM Clerk is working with young Friends to organize a plenary session on Saturday afternoon on Leaving Ghost Ranch and Looking Forward to Fort Lewis College: an Intergenerational Celebration. The Program Working Group and Friends in the Arts expect to provide opportunities for us to remember and be grateful for our time at Ghost Ranch as we move on to Fort Lewis College. Please start thinking about your stories, photos and mementos. There will be a presentation about what to expect at Ft. Lewis College on Saturday night before the Contra Dancing. If you are a seminar/interest group leader and would like us to stock a particular title, contact the bookstore coordinator (David Nachman, dnachman@mac.com) by 4/13/2018. We will order the requested items through the FGC Quaker Bookstore online, and it will arrange to have them shipped to Ghost Ranch. If you are an IMYM author, artist, or musician and would like us to display your creations for purchase, please plan to set up in a space 30” front to back and no more than 36” left to right. Clearly label the prices and prepare an envelope with your name on it so Friends can leave payment. These sales will work on the honor system – bookstore volunteers won’t record your sales or handle your money. Each year, monthly meetings send their state of the meeting reports to the Presiding Clerk who compiles them for a state of the yearly meeting report. Please have your meeting’s report sent to clerk@imym.org by May 6, 2019. If you have Memorial Minutes of Friends who have died this year, please share them with the Yearly Meeting. They will be included in our Documents in Advance, and we will have a time early Friday evening to share Memorial Minutes. Send Memorial Minutes by May 6, 2019 to clerk@imym.org along with a suggestion for who from your meeting would like to read (3 minutes max). If your meeting has new people serving as clerk or as representative to IMYM, please send the names and contact information to clerk@imym.org.